Illegal Vietnamese workers have to return to Vietnam first and if they wish to re-enter Thailand, they must apply for work permits, said a local official. 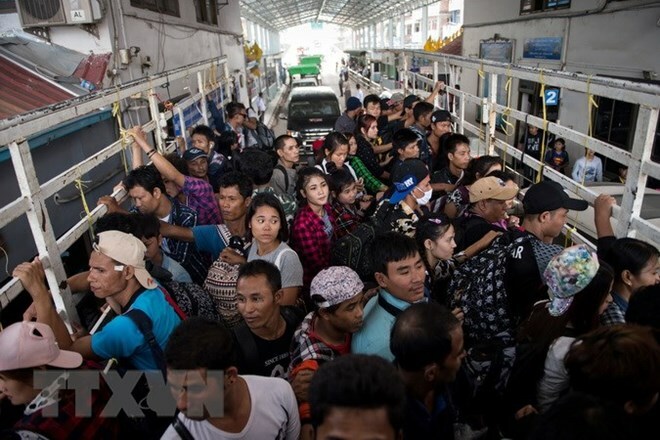 In an attempt to attract migrant workers from Vietnam to Thailand, the Thai government has approved a proposal to provide work permits for illegal Vietnamese labourers, said Labour Minister Pol Gen Adul Sangsingkeo. The proposal will benefit about 50,000 Vietnamese nationals who visit Thailand on a 30-day tourist visa and working illegally, he told the media after an August 31 meeting of the government’s committee on policy for resolving migrant labour problems and tackling human trafficking in the labour sector. He added the committee agreed to housemaids and blue-collar workers in most industries to the list of jobs Vietnamese nationals will be allowed to do in Thailand. The same policy will also be applied to migrant workers from Laos, Myanmar and Cambodia only after Thailand signs the memorandums of understanding (MoU) with the four nations on cooperation in labour supply. Dates for the signing of the MoUs will be set soon.